We have noticed more and more people visiting our site looking for information on Tassimo pods or T-discs and specifically wether they are being phased out or if Tassimo is going out of business or being discontinued. We found this intriguing and so thought we would present the facts to help answer some of your questions. Firstly, what does Google tell us? Why has Hamburg banned Tassimo pods? What are Tassimo, Nespresso et al doing about it? What impact does this have on us? Will Tassimo, Nespresso and other coffee capsule makers go out of business? If you search for ‘is tassimo being phased out’ in Google, the results are not exactly helpful. 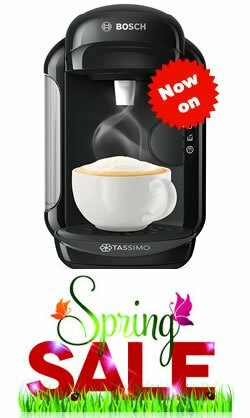 You will find links to the official Tassimo website, wikipedia, MyVirtualCoffeeHouse (thats us) and lots of information which is woefully out of date. The same goes for people searching for ‘is tassimo going out of business 2017’. So why are folk all of a sudden worrying about this? It all started in Hamburg, Germany. In an effort to reduce waste and as part of a green procurement drive, the German city of Hamburg has banned coffee pods, and thus coffee pod machines, from all state-run buildings. Firstly, they have not just targeted Tassimo, according to the green procurement report, the ban is for all “equipment for hot drinks in which portion packaging is used” and it goes on to mention the “Kaffeekapselmaschine” (coffee capsule machine), so the ban is on all coffee capsule machines, be them Tassimo, Nespresso, Dolce Gusto, Phillips etc. For a review of the best coffee capsule machines and to find out what flavours are available, check out our free guide. Or if you fancy having a go at making your own reusable tassimo pods, we have a great guide and video tutorial to help. The beauty of coffee pods is that they are extremely quick and easy to use, have tons of flavours to try and taste great. The problem with coffee pods, is that they are not exactly environmentally friendly, and this is the crux of the issue that the City of Hamburg have. These portion packs cause unnecessary resource consumption and waste generation, and often contain polluting aluminium – Hamburg, green procurement report. Coffee capsules are a complex product often made from a mix of different materials, and the waste products also contain organic waste (dregs of coffee, chocolate, tea etc) which makes them difficult to process in standard city recycling plants. The manufacturers know that in todays world, this is a problem and are doing what they can to support green initiatives. to highlight the growing recognition of the vital importance of being sustainable in everything we do. Nespresso runs its own recycling programme which covers 31 countries and 14,000 capsule collection points. Presently they have the capacity to recycle over 80% of used capsules and it is aiming to increase this to 100% by 2020. Likewise, Tassimo UK have teamed up with TerraCycle to help with the mountain of waste created from your used pods. You can find out more information on the Tassimo UK website – https://www.tassimo.co.uk/terracycle/s-2384/ or sign-up with TerraCycle and start collecting the empty pods today. According to Hamburg’s senator for the environment, they are hoping that their initiative will have a knock on effect for how individuals view coffee capsules. But given how we are all recycling at home and in the office and the recycling programmes created and promoted by both Nespresso and Tassimo, coffee capsules are not going anywhere, any time soon. In fact, According to The Grocer magazine, the amount of coffee pods sold last year was up 1/3 compared to 2017, with more than £112m of coffee pods in total sold. The predicted sales are not just expected to grow, but actually treble by 2020, meaning for the first time, coffee capsules will out sell tea bags! 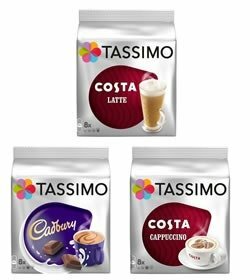 Given all of the above, do we think that Tassimo pods and coffee capsules are being phased out or will be discontinued? Not a chance!